As Newton points out in the video, certain positions on the fretboard can give a useable 'double note' effect. You can hear the pitch of the vibrating string between the fretted note and bridge as usual, but there is also an audible pitch generated between your finger and the guitar's nut as you hammer-on. Unfortunately, the notes found on the 'wrong' side of your finger don't follow the chromatic scale. 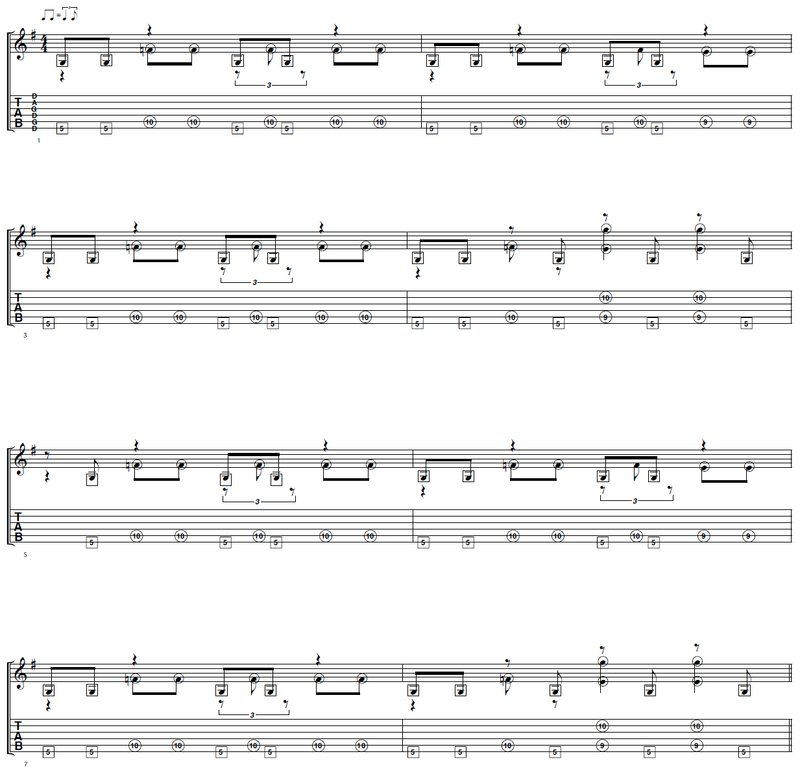 These notes change in microtones (pitches that are smaller than a semitone) at the higher end of the fretboard, which means some of these double notes will sound very dissonant, depending on which position you're playing in. 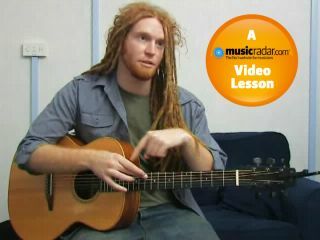 For more info on Newton, visit the official Newton Faulkner website. You can keep your picking hand steady by gently resting your thumb against the guitar neck. This will help you execute the pick hand taps accurately. Try practising the fret hand part separately from the pick hand part, then start playing them together as you gain confidence.